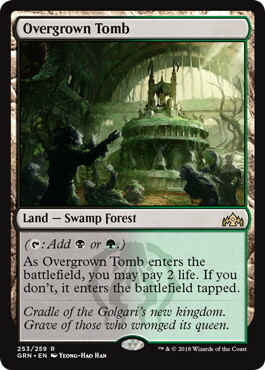 Ravnica Allegiance gave us a bunch of interesting cards for constructed and today we’ll have a look at good old Golgari and try the new toys out. Not much introduction needed. The card is just a dream of any Midrange deck. 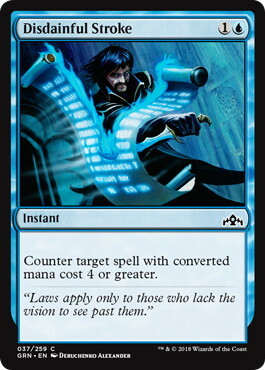 A perfect mana sink that gives you an uncounterable card draw against Controls. Life gain against Aggro and a huge body + the first two against Midrange. 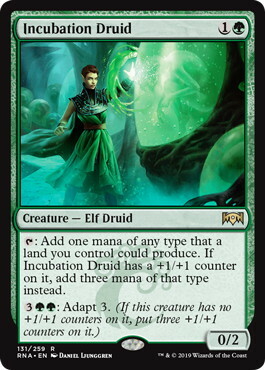 The new dork seems quite promising, this + 《Llanowar Elves》 makes turn 3 《Vivien Reid》, 《Doom Whisperer》 possible, unlike the most mana creatures it is not that useless in a mid-game, and once it Adapts you still have some ways to utilize as much mana as possible. The new 《Squadron Hawk》 is a great mana consumer, provides a considerable amount of beef on the board and is another good 2-drop option. 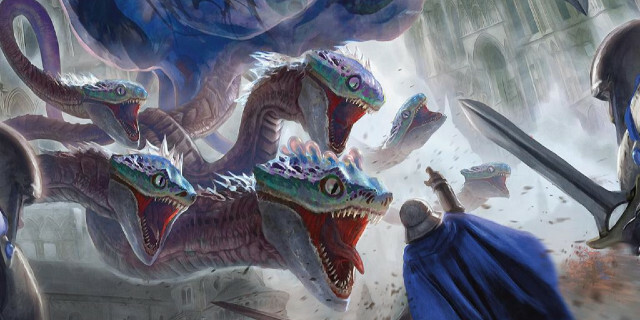 There are already dozens of Sultai decklists (and by the time the article s published there will probably will be dozens more), but all of them can be divided into 2 groups. 《Wildgrowth Walker》 based builds (such as presented on SCG events) are good against Aggro decks, but, despite I’ve played the 《Wildgrowth Walker》 almost the entire previous season, I don’t like it now. 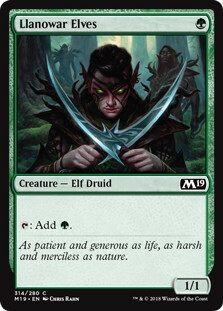 Against mirror or other Midrange it may seem 《Wildgrowth Walker》 could get out of Control quickly unless it gets the removal and your opponent can’t have the removal for all your creatures. But even if opponent doesn’t have much in his list, on what you think he’ll waste it, the Explore team? 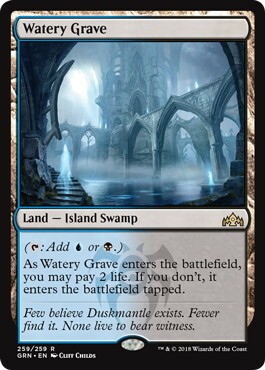 Against Izzet Drakes, 《Wildgrowth Walker》 is OK, but don’t be fooled once it gets 3/5, to tip the scales you’ll have to do a couple more Explores, they just won’t bother dealing with 3/5 creature. 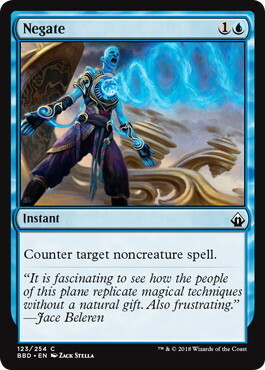 Unlike Jeskai, Esper Control doesn’t care about your creature stats. 《Nexus of Fate》 decks and 《Wilderness Reclamation》 decks neither. Unanswered 《Tocatli Honor Guard》 makes this build helpless. 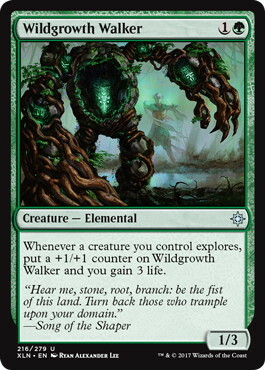 No 《Wildgrowth Walker》 builds are more flexible and fitting the unknown meta. Suffers a lot more from White Weenie and Mono Red builds. 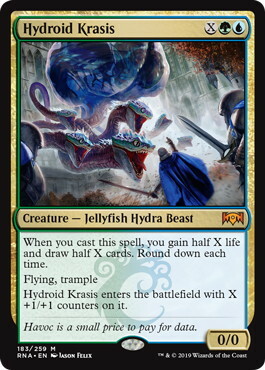 An extra set of mana creatures could get you ahead in the Planeswalker or 《Hydroid Krasis》 race in the mirror. Although 《Growth-Chamber Guardian》 is still far from my dream 2nd drop, most of the time I’m happy to see it not only on turn 2. I tweak it almost every day and it’s far from the final version, so we’ll just take a look at the cards, to decide which toppings in what amount to add will be easier for you given the meta and personal preferences. 《Llanowar Elves》 are the classics, but you may consider siding it out versus 《Goblin Chainwhirler》 on the draw. 《Incubation Druid》 got its introduction earlier, it’s unlikely I’ll side it out in any case. 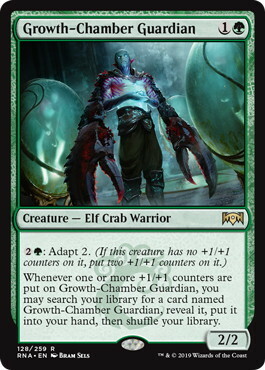 《Growth-Chamber Guardian》 : It is OK so far, the deck needs Turn 2 action. I’m trying to figure out is it worth siding out 2 of them sometimes (Like the Fog decks or Mirror), if you connect it Turn 2, usually you have better options than just go for another one and late game is not about the 4/4 creatures, once you’ve pulled the last one out you can even try to lure the removal with the Adapt ability. 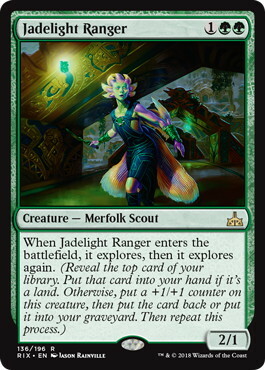 《Jadelight Ranger》 : Double Explore is twice as good and the lack of 3 drops make the 《Ranger》 a fine add, if you get land flooded the Adapt guys and 《Hydroid Krasis》 will be happy to help. 《Thrashing Brontodon》 : Quite a universal card, a 3/4 body lets it survive all burn spells except 《Lava Coil》. 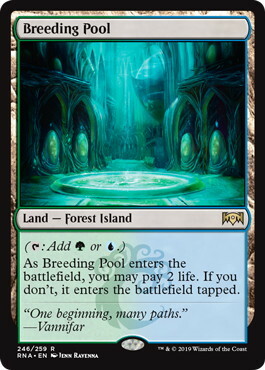 《Experimental Frenzy》, 《Search for Azcanta》, 《Wilderness Reclamation》 and 《The Flame of Keld》 are still out there. 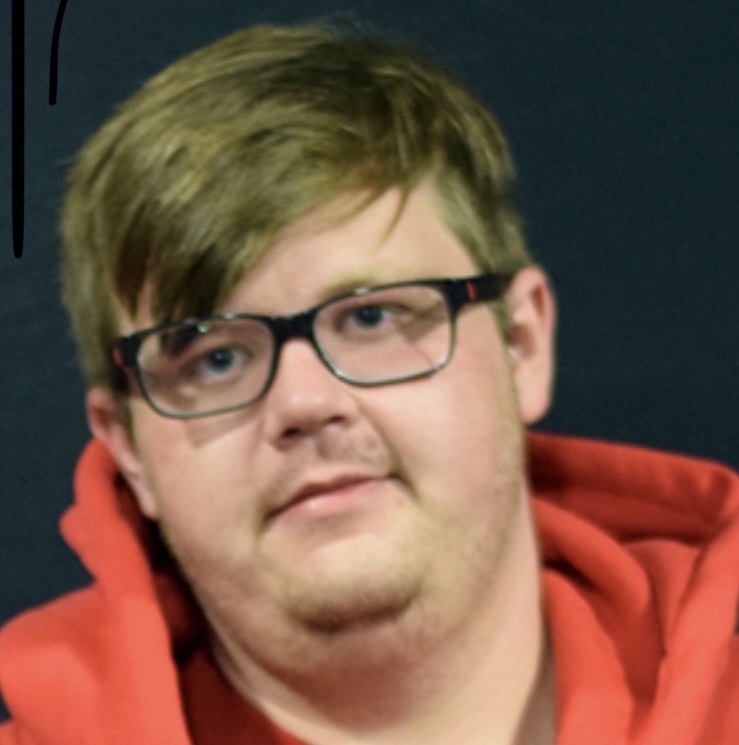 Goes out in mirror and some Midrange matches. 《Hostage Taker》 : A bane of 《Hydroid Krasis》, it takes the place of 《Ravenous Chupacabra》. Usually a desirable topdeck in the late game. Unlike 《Ravenous Chupacabra》 you can stop 《Rekindling Phoenix》 with it for a turn and if are lucky even get some profit. I’m not sure 3 is the right number, but I’m very happy with them so far. Goes out versus creatureless decks. 《Hydroid Krasis》 : Despite the card is great and you always want to play at least 1 per game, I like the 3 copies, with 《Vivien Reid》 finding 1 is not that much of a problem and once you resolve 1 you should find the tools to seal the game or survive until another. 《Cast Down》 : I like 3 copies, because against Aggro decks you’d better have an answer at ready (And due to pros and cons I don’t want to play the 《Wildgrowth Walker》 build), for me it’s like a general strategy, if you are not sure the Control decks will prevail in the meta, configure your main versus Aggro/Midrange. Versus Control matches you still have Adapt and Explore, it’ll keep them busy for some time. 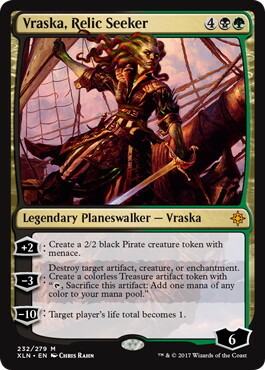 《Vraska's Contempt》 : A universal removal spell will always find a place in the main deck. Some people keep it against 《Teferi, Hero of Dominaria》 Control decks and I disagree with it. You have tons of ways to deal with him, keeping a very situational card is not necessary. 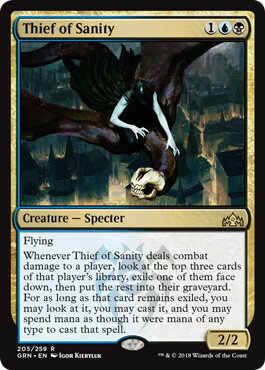 《Find // Finality》 : Without lots of Explore the 《Find》 part slightly loses value, but not enough to abandon the card, it still has a great versatility in the unknown metagame. Feel free to side it out versus Control. 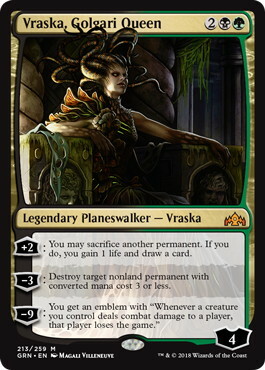 《Vraska, Golgari Queen》 : I’ve put it after quite a bunch of matches against Nexus decks in a row, she is a perfect example of “OK” card, most of the time you’ll find some use for it, just don’t expect too much. I don’t remember siding it out often, but it’s a candidate when you’re unsure what to side out. 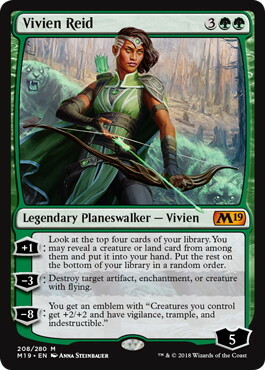 《Vivien Reid》 : I think this card is still as good as she used to be, in the new meta she also takes care of 《Rhythm of the Wild》, 《Wilderness Reclamation》, 《Hadana's Climb》, 《Skarrgan Hellkite》 and 《Spawn of Mayhem》. 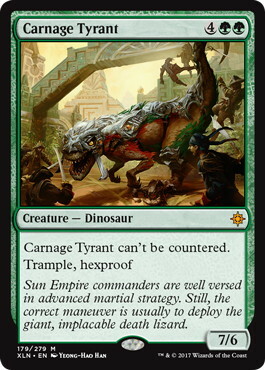 With 8 mana creatures installing her on turn 3 is quite possible and that’s a huge threat for any deck, except maybe Mono Red. The manabase is a bit painful, but being not able to access all 3 colors will be even worse. The card could be just nuts in some situations and an absolute blank in another. 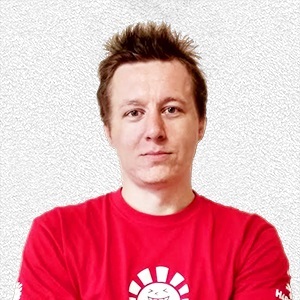 I don’t think as a Midrange deck you can allow yourself to play the cards that are doing nothing sometimes. 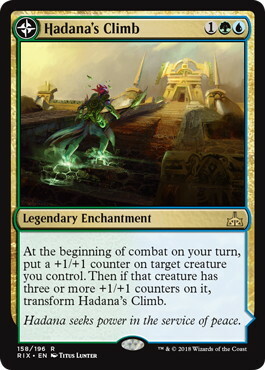 The card has the same problem as 《Hadana's Climb》– it just doesn’t belong to this deck (especially the 《Walker》 less builds), the body and card draw are OK, but you have no lack of either. The good old giant implacable death lizard is still fine, but the place in the main deck is reserved by 《Hydroid Krasis》. There is a contest between it and 《Vivien Reid》 for a 5 mana slot, I’m in a Planeswalker boat so far, but after some metagame shift demon could get its ticket back. 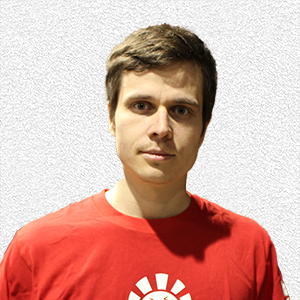 Right now I like the idea of sideboard, focused on beating Nexus and Control decks. If you try to adjust your main deck, it will affect your good matchups drastically. Countermagic and hand disruption were always good against spellbased decks, in theory you want to play 1 in the beginning to prevent opponent from getting the hand he wants, and 1 to seal the game, to be sure of that I like the total of 6-7, preferring 《Duress》 due to its mana cost and the information it provides. 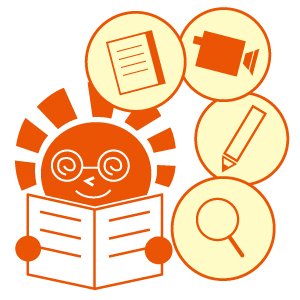 《Moment of Craving》 : A perfect time buyer against Weenie and Mono Red, dealing with an early 《Runaway Steam-Kin》 is critical. 《Unmoored Ego》 : I start to like the card in the current metageme, 《Teferi, Hero of Dominaria》 and 《Nexus of Fate》 are very tempting targets. 《Nightveil Specter》 was one of my favorite sideboard cards back in the day, once you have it on board against Midrange, Control or any removalless deck, you just have to provide it a minimum support and the cumulative advantage will win you the game. Your biggest guns versus the decks where you have the time to play it. Keeping 《Hydroid Krasis》 in mind, I think a total of 3 is the largest amount you can allow. A good defensive card against Weenie and Mono Red, it also kills 《Wilderness Reclamation》. That’s my vision of Golgari deck evolution for now, thanks for reading and I hope you have found it interesting. See you online and good luck.